Let's raise funds for legal advice to "Save Our Cirencester"
Ordinary people opposed to a massive development ( the size of Tetbury) on the edge of Cirencester. We will support appropriate and sustainable development but not this awful planning mistake. The months and years of local people fighting against the Bathurst application has unsettled the developers, planning officers and councillors but until now they have been able to resist opposition through their own self serving policies and processes. It is time to find out whether a legal challenge can be made to what they have decided and what they plan to do. 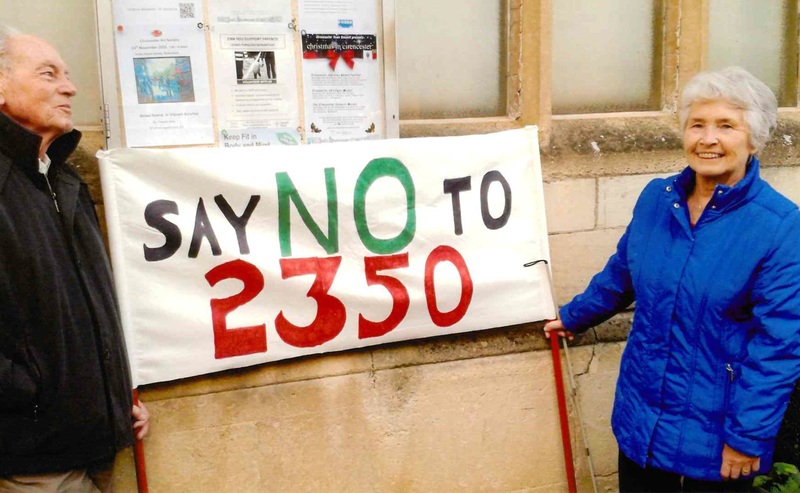 We need the community to think about the harm that this development will do to the unique nature of Cirencester and consider donating money so that we can get some professional expert legal advice. At this stage we need about £5700. Please consider any contribution you make as an investment in the future of your town and that of generations to come. WHY IS THERE SO MUCH OPPOSITION ? Nothing like so many as 2,350 houses are required at Chesterton to meet the objectively assessed housing need for the district. This was uncovered by questioning the council and getting information that they were reluctant to reveal. If a development of this size is not needed then why should the community accept the harm which it will suffer from disruption over many years, pollution, traffic increase and overloaded infrastructure ? The harm is nowhere near alleviated by money promised by the developer of this £880 million project. Its contribution to the existing town is only £102,500. The developer and the council have engaged expensive experts and lawyers over many years, behind closed doors, to propose this massive development against the wishes of the town. The developer and his advisors stand to make tens, maybe hundreds of millions of pounds. Now it is time we fought back and raised funds to pay for our own legal advice. 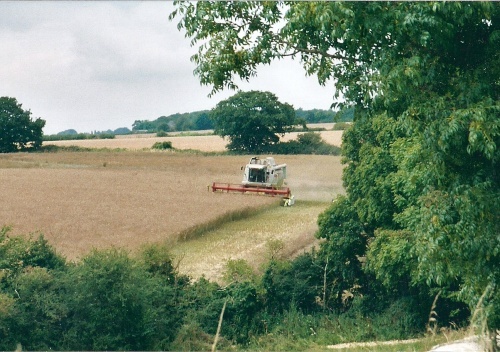 Farmland and green fields are being sacrificed to meet a flawed local plan. Aristocrat Lord Bathurst is the landowner and the developer and has put together an application for more houses than the plan requires. This many houses are not needed in a location that is much less suitable than other alternative locations in the district . We would like to engage the law firm Richard Buxton - www.richardbuxton.co.uk/ - which has extensive experience with planning and environmental matters. They have looked initially at the documentation associated with the development and would like to examine several areas in more detail. This is a first stage and will identify where Save Our Cirencester and the community can take further action. When the advice is received we will provide an update on options for further action including the cost of each option. We will then seek to raise further funds to support the next action. 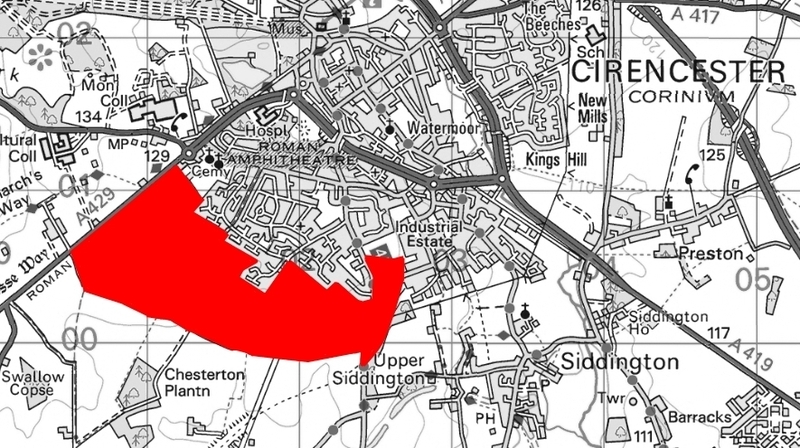 Save Our Cirencester and its backer’s donated sufficient money to engage a solicitor and a barrister to advise us on the prospects of a successful challenge to the Chesterton Planning Application. The barrister was able to consider the relevant matters contained in documents and objections which SOC obtained from the council’s planning register. Broadly these were: evidence of the Council and Councillors not following the Council Code of Conduct; errors and misleading statements in the CDC case officer’s report; harm to Cirencester from traffic related air pollution; the Council’s obligation to give meaningful consideration to alternative sites and evidence that the housing land supply exceeds the full and objectively housing need by more than the homes to be built at Chesterton. In discussion with SOC the barrister agreed with SOC that Councillors who are members of an organisation like the Bull Club (of which the applicant and 3 councillors are members) should have declared their membership as an Other Interest. Had they done so and followed the Council Code of conduct SOC believes they should have excluded themselves from discussion and voting on the Chesterton Application and the relevant part of the Local Plan preparation. The barrister explained that a judge would ask if the decision of the Council and the three Councillors not to follow Council Code of Conduct would have led to a different outcome in determining the Chesterton application. While the voting result may have been different there is no evidence to demonstrate this to a court. On the housing numbers, the QC thought the Council case officer’s report was over the top in stating the importance of the Chesterton Application to meeting the full and objectively assessed housing need. For example the case officer report states the Chesterton Application has significant implications for the five year housing land supply when the application contributes no houses to the five year land supply. There are other similar examples where the case officer reports states ‘significant impact’ when the evidence available supports ‘minimum to zero’ impact. Whilst we all recognise this as a bad planning decision, this would not be strong enough to persuade a judge with respect to material errors of fact. On the basis of this advice SOC reluctantly accepts that to continue to a more extensive piece of work to build a judicial enquiry case would not be the right thing to do. It would entail raising funds of tens of thousands of pounds and the prospects of a successful judgment do not appear to be good enough. We think it was right to explore the legal route and have learned a lot from the exercise. This, together with the experience of our campaign over the last four years, has exposed serious shortcomings in CDC’s planning policy making. We are hopeful that community support will ensure that CDC is properly scrutinised in the future, to prevent the covert and uncommunicative way in which it has gone about the creation of its local plan and its handling of the Chesterton application. To our backers, we want to say a huge thank you for your support and your donations. Your contribution has not been wasted if, like us, you believe that standing up for your community is the right thing to do. Save Our Cirencester individuals have spent additional time preparing compressive briefing papers so that Richard Turney can focus on those issues of legality that matter. This has involved adding the Cotswold District Council's local plan, comments to it and the Inspectors Report to issues about the Bathurst application for Chesterton. We expect to be able to report further in the next month or so. Update on Let's raise funds for legal advice to "Save Our Cirencester"
We now expect that our lawyers and barrister's advice will become available at the end of June. Thanks once again for your interest in the campaign to " Save our Cirencester"
Save Our Cirencester has been preparing a briefing paper which we will provide to the lawyers. This will enable them to focus on the key issues that matter from a legal point of view. We expect advice from them on whether and how we move forward within a couple of months and we will naturally let you know. Recently we announced that we had reached our initial target and although we had two weeks to go we thought it was the right thing to stop accepting pledges for the time being. It seems that perhaps it wasn't such a good idea after all. People have told us that they wanted to support the campaign but couldn't so we've decided to re-open the pledge facility. Reaching our stretch target will allow our lawyer and QC to extend the scope of the advice that they give us. The money pledged has reached its target in only half the time we expected and we are delighted. Save Our Cirencester are completing a briefing paper so that our lawyers, Richard Buxton, are informed enough to assess the strength of our case. How we go forward will depend on the advice they provide us with, which obviously we will share with all our supporters. We expect this to be available in the summer. The next stage may be a judicial review and would require substantial funding. We are hopeful that our supporters will not only be willing to pledge again but also help us to raise the profile of this case and spread the message to a wider audience of potential donors. Thank you so much for your pledge to the fund. Save Our Cirencester is so pleased with your generosity and the will for us to succeed is strong. It is clear that when people find out about the campaign they respond. With that in mind can we ask you to help spread the message about the campaign. Perhaps you could send an e mail to five of your friends or post a message on Facebook or Twitter or another social network. That would really help the cause.
" 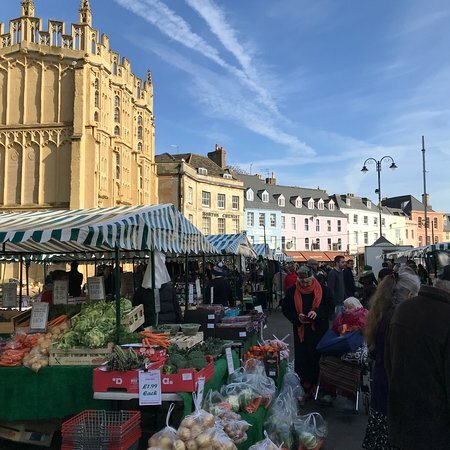 I have pledged money to the campaign against the size of the Chesterton plan and thought you might want to think about whether you want to contribute so that Cirencester is not overwhelmed by over development"